Those opening comments set the tone for the Oct. 1 Fireside Chat at the Denver Press Club. Hochman, who joined The Post in 2007, also does stand-up comedy in the Denver area. Denver 8 TV taped the program, which was sponsored by the Colorado Pro Chapter of the Society of Professional Journalists, and it will be broadcast at a later date. 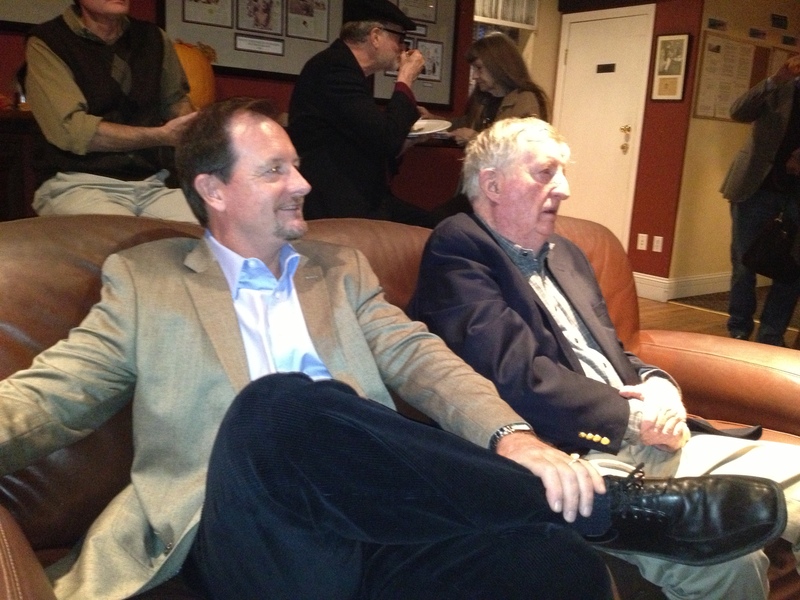 Patrick and Dusty Saunders at SPJ Colorado Pro’s first Fireside Chat. 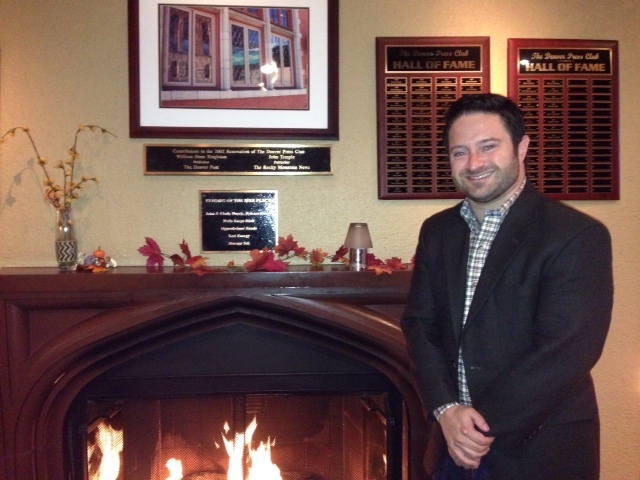 sports coverage at a Fireside Chat on Oct. 3 at the Denver Press Club. Dusty covered the broadcasting beat as a critic and columnist for more than 40 years at the Rocky Mountain News. He currently writes a Monday TV/radio sports column for The Denver Post. Patrick joined The Post in 1998 as a Denver Broncos beat writer and now covers the Colorado Rockies. Both men advised college journalism students to focus on improving the quality of their work. The father-son relationship was discussed in other aspects. “I do cast a big shadow,” the 6-foot-3 father said.